Home / Video / Worlds QUICKEST LS Powered CORVETTE??? Worlds QUICKEST LS Powered CORVETTE??? Is this the worlds quickest LS powered Corvette? 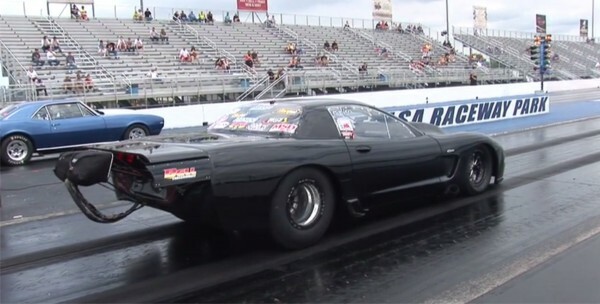 Keith Berry at BMF Drag Radial Corvette sports with ProLine Racing Engines 468ci LS and Twin 91mm Turbo’s. This car runs a best time of 4.15 @185mph in the 1/8 mile. We admit that it is not only the quickest and fastest LS Corvette, but it is probably the quickest LS powered vehicle in the World period.